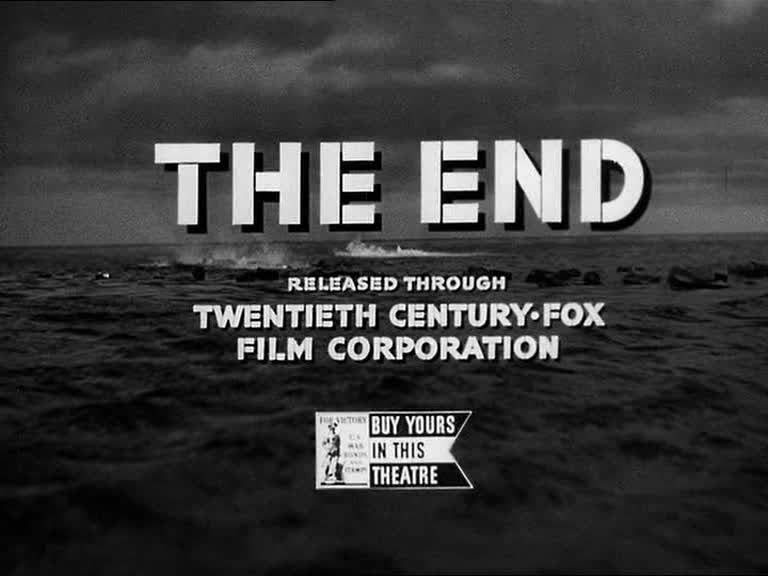 There is some masterful miniature work here by Fred Sersen's department at 20th Century Fox. 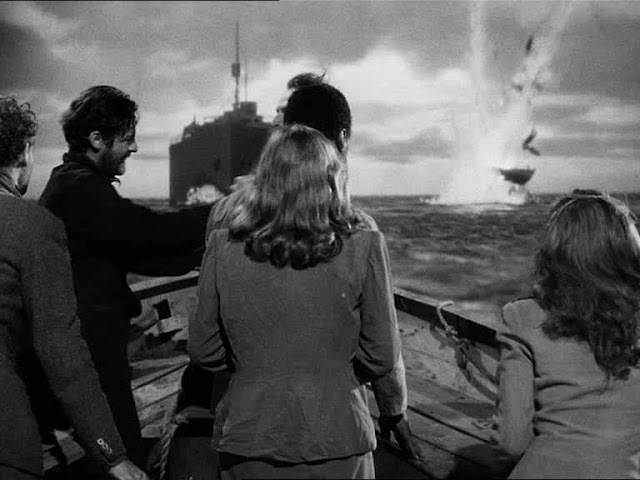 Made and set during the second World War, pretty much the entire film is a special effect with most of it shot against a rear projection process screen. 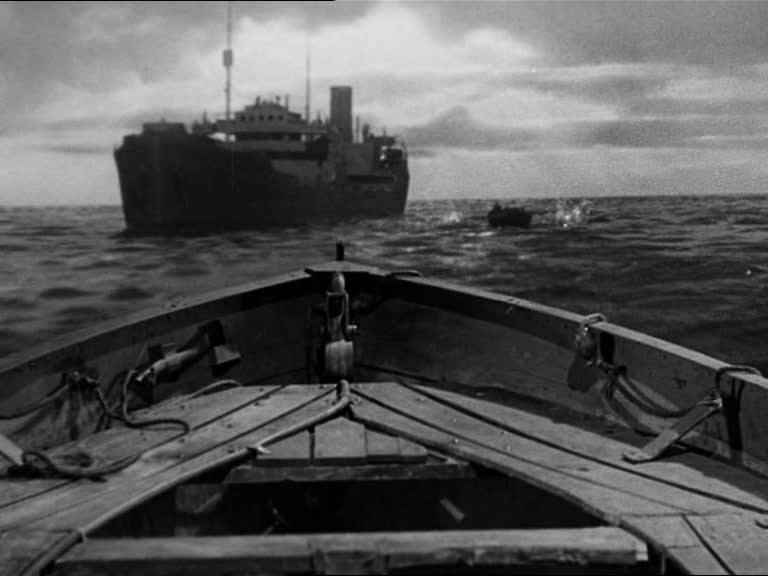 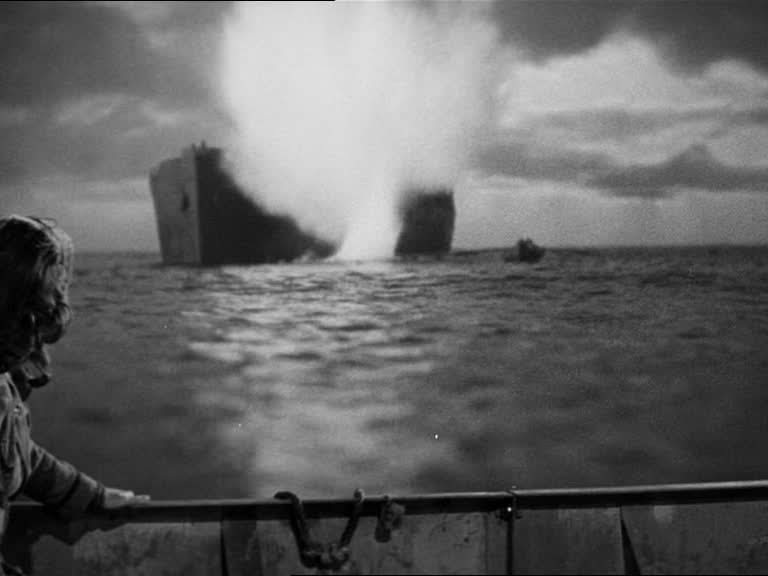 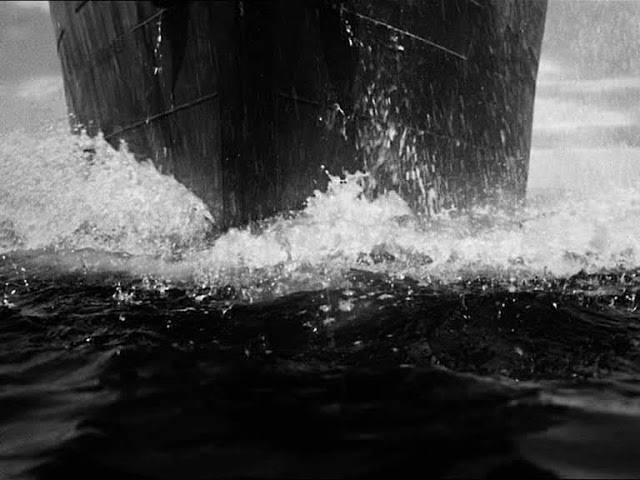 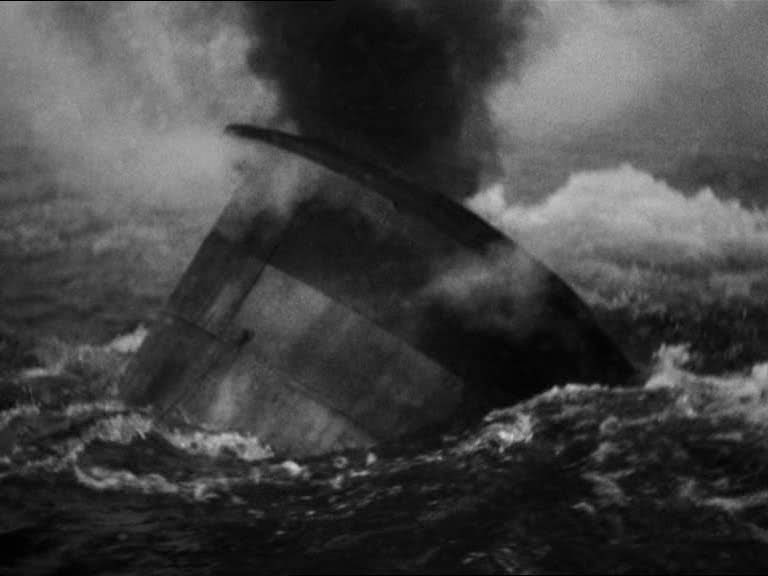 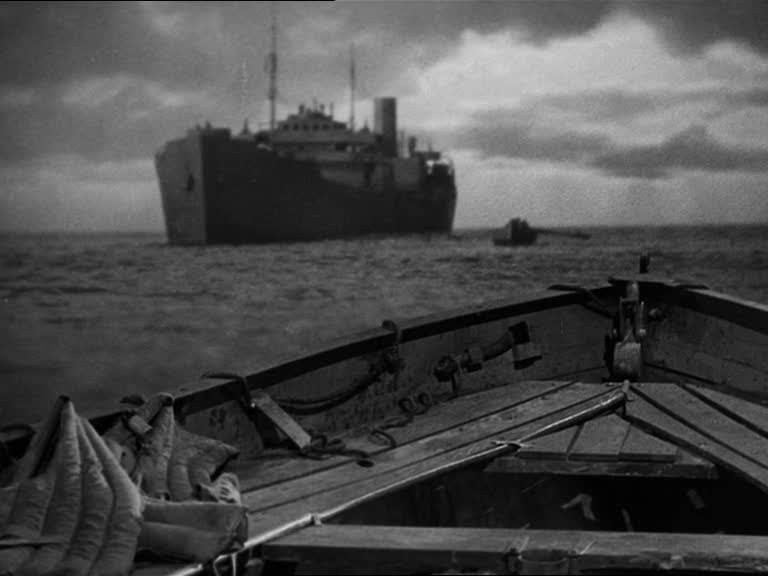 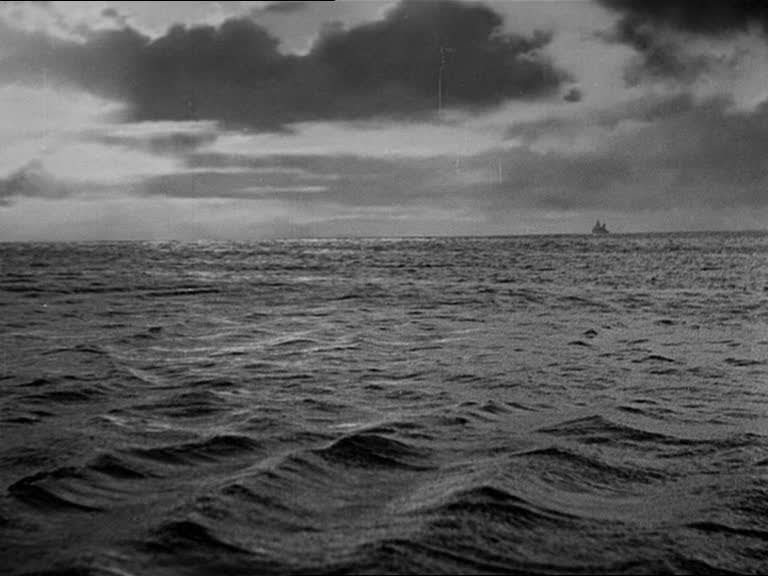 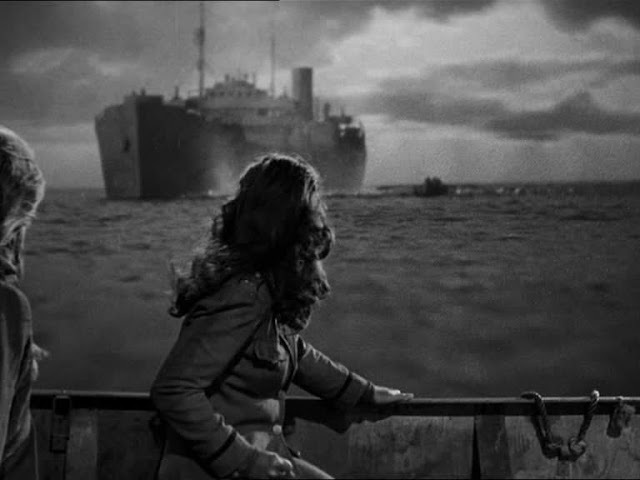 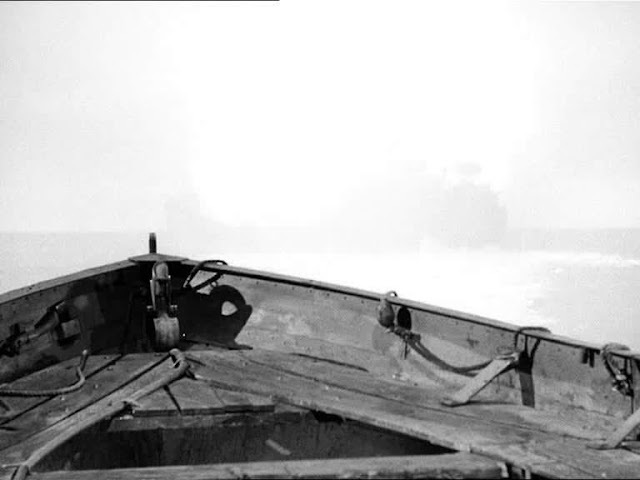 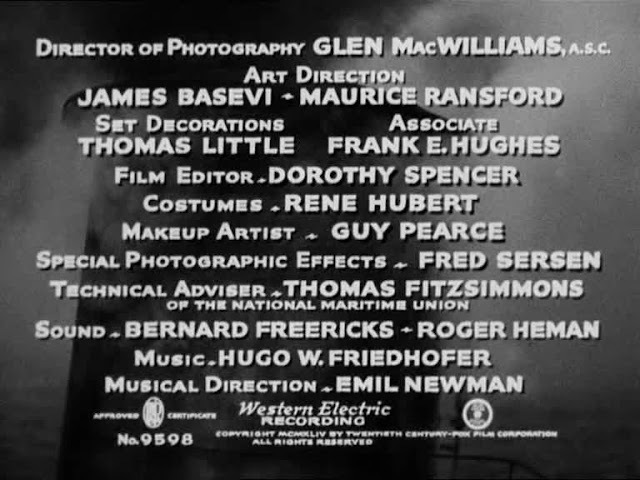 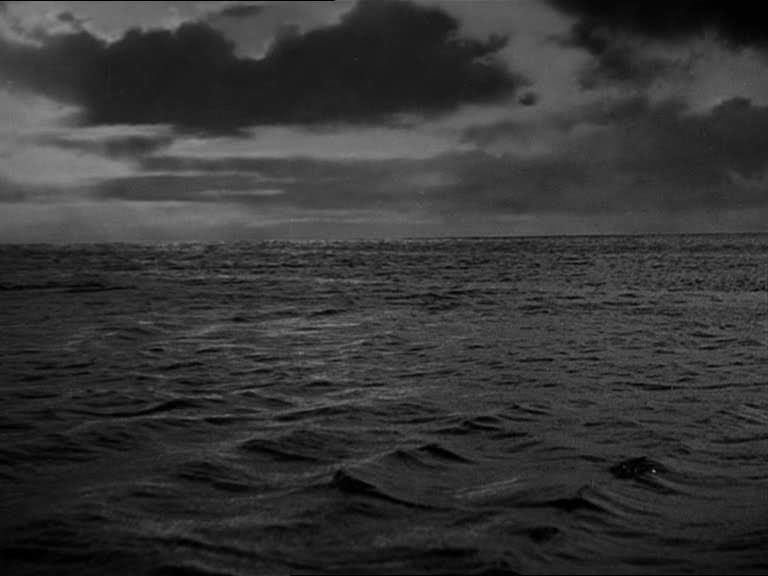 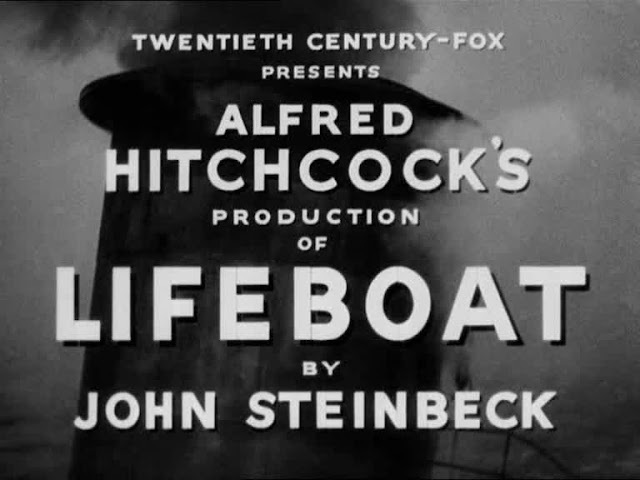 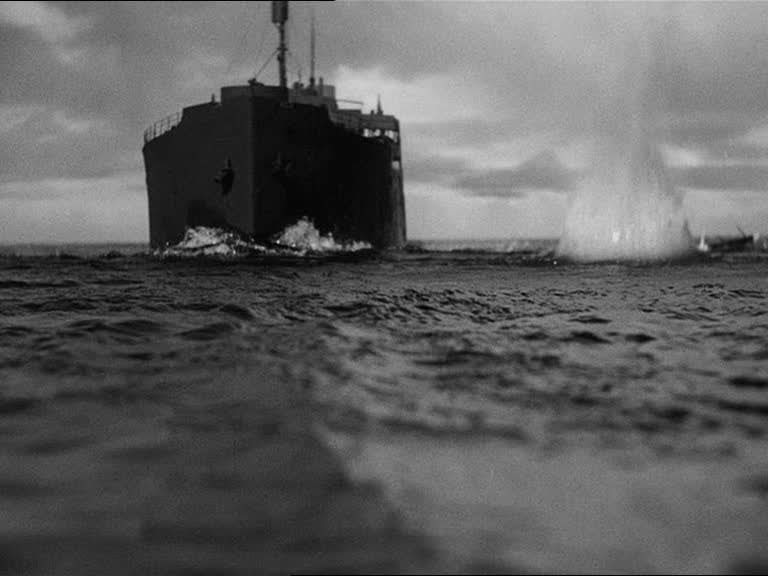 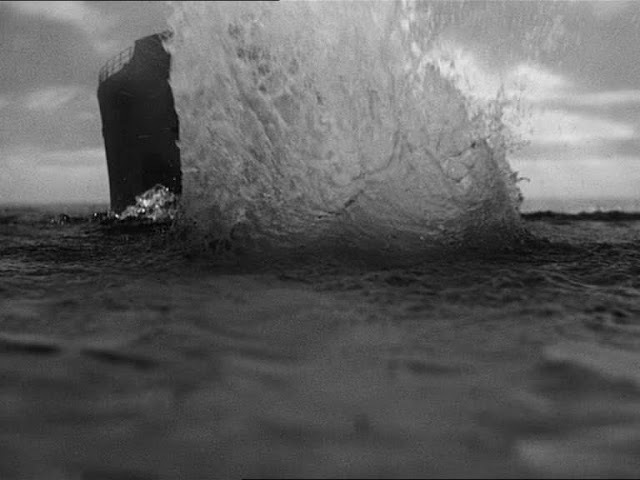 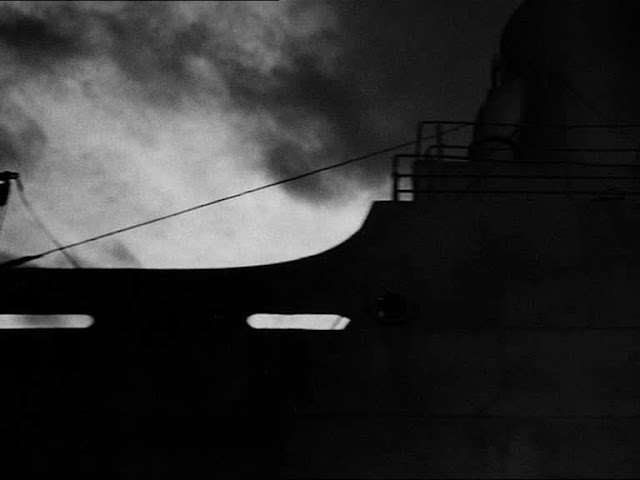 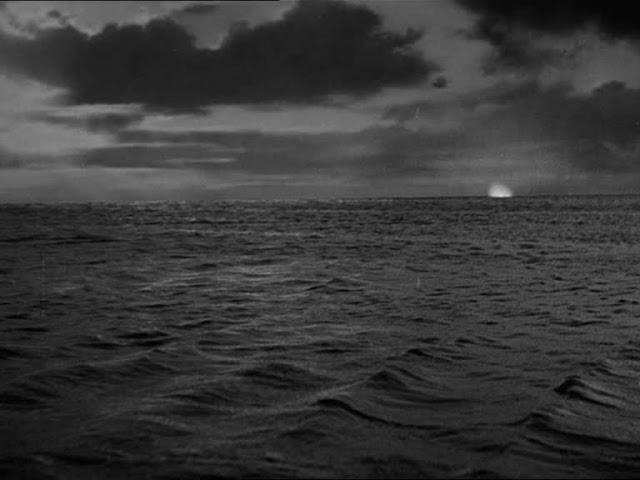 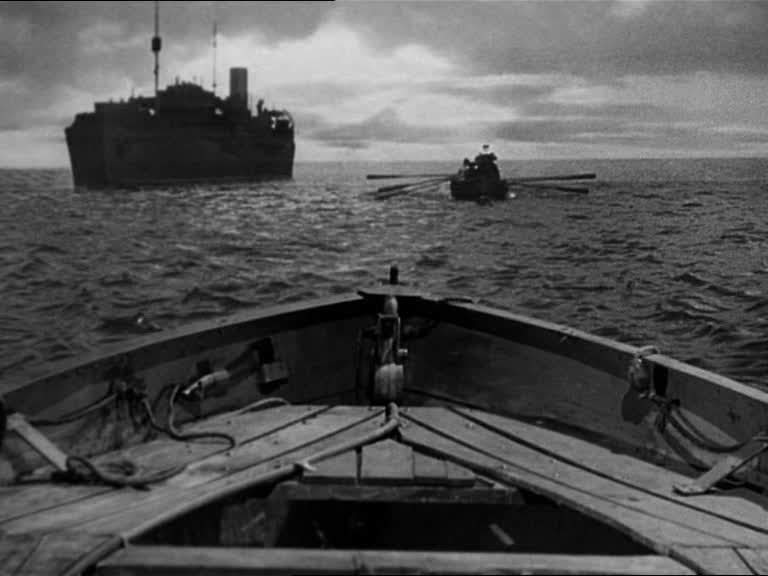 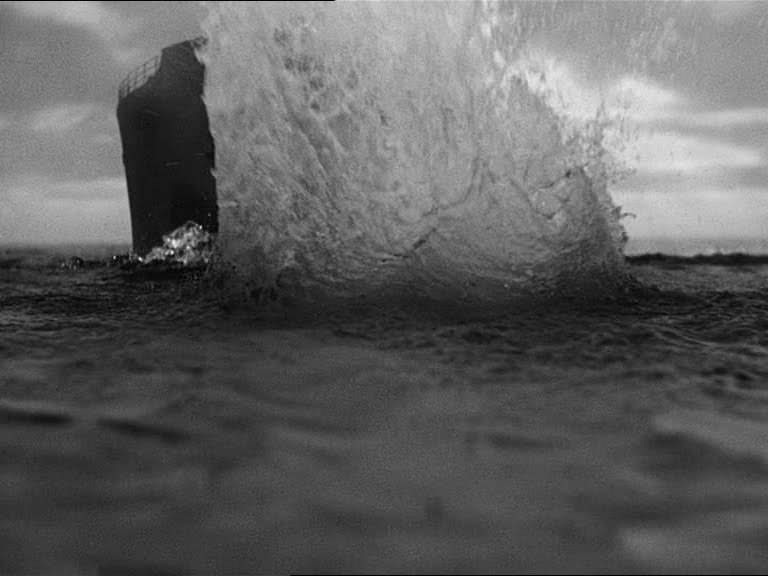 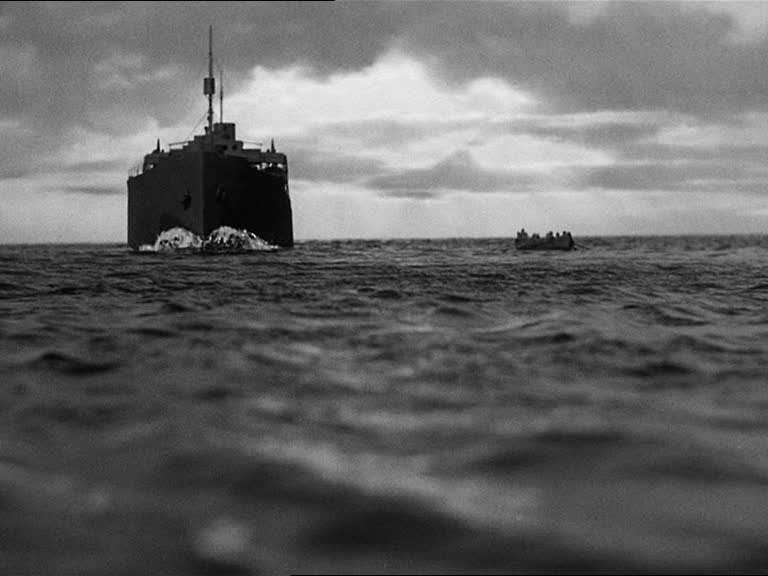 The opening title sequence is a large scale close up miniature of a smoking funnel which in a long continuous shot sinks into the sea. 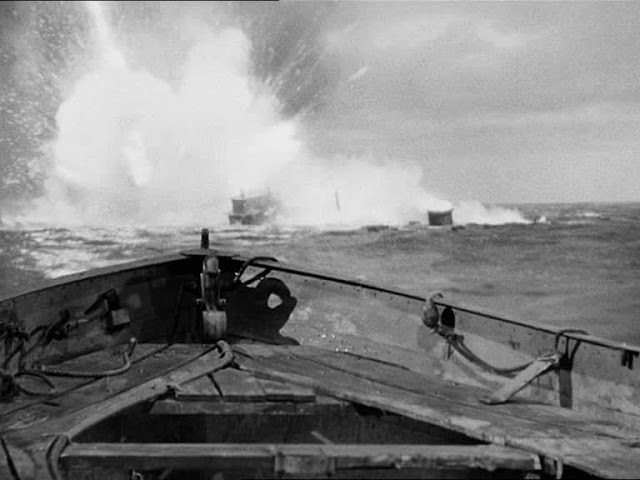 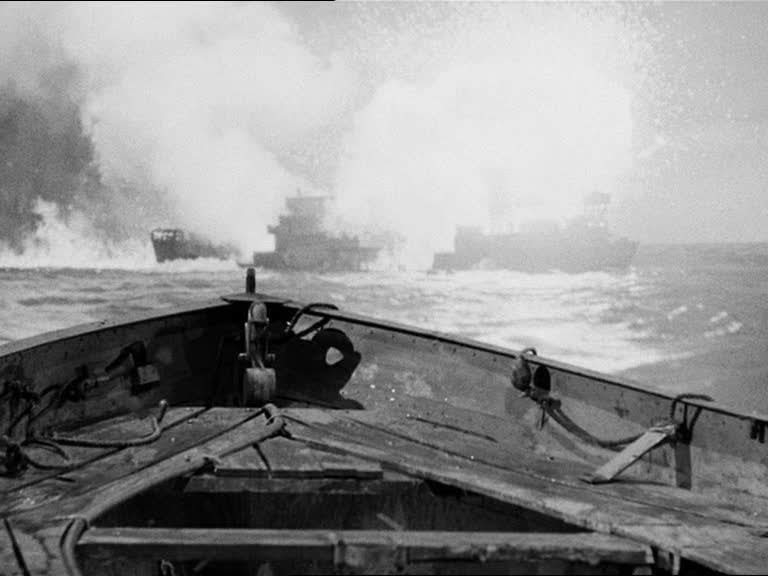 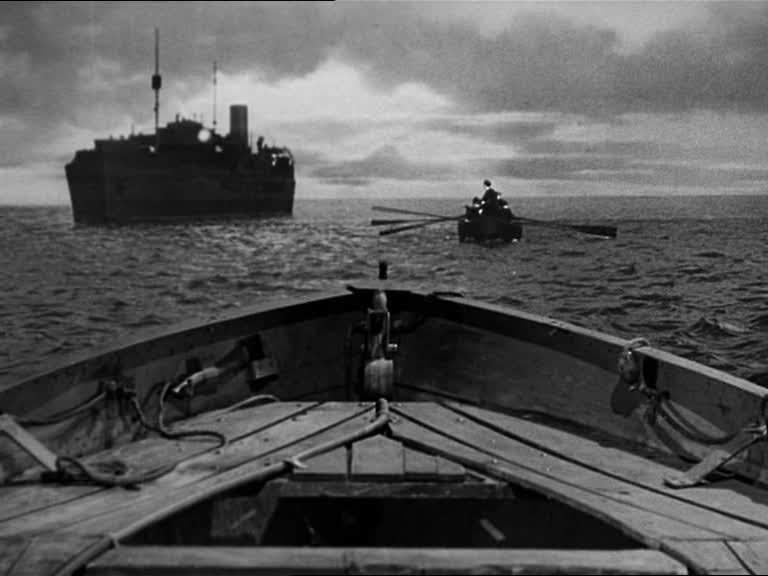 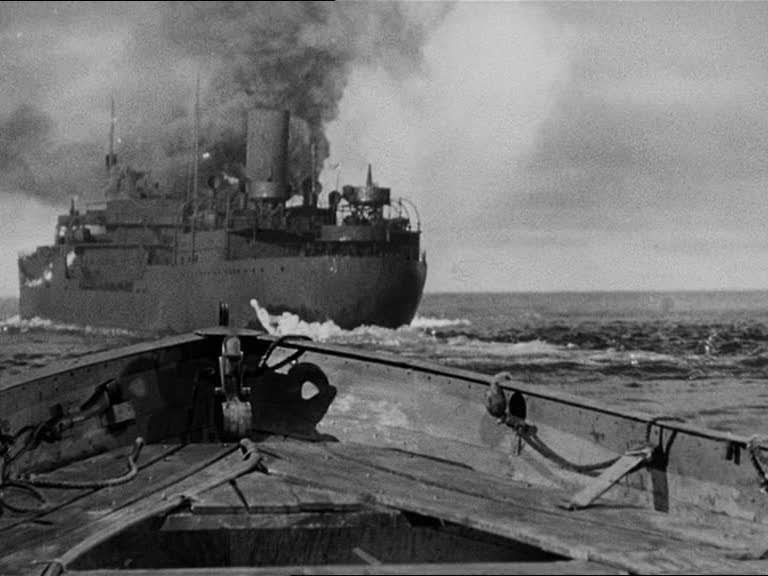 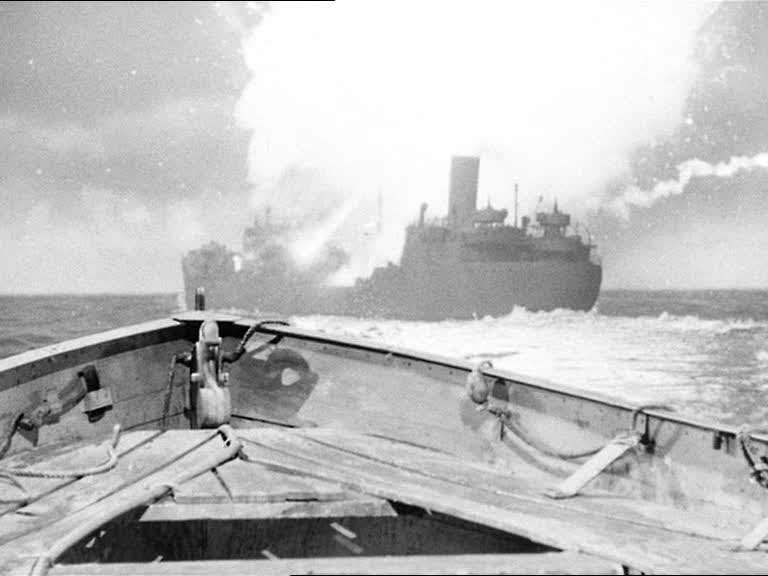 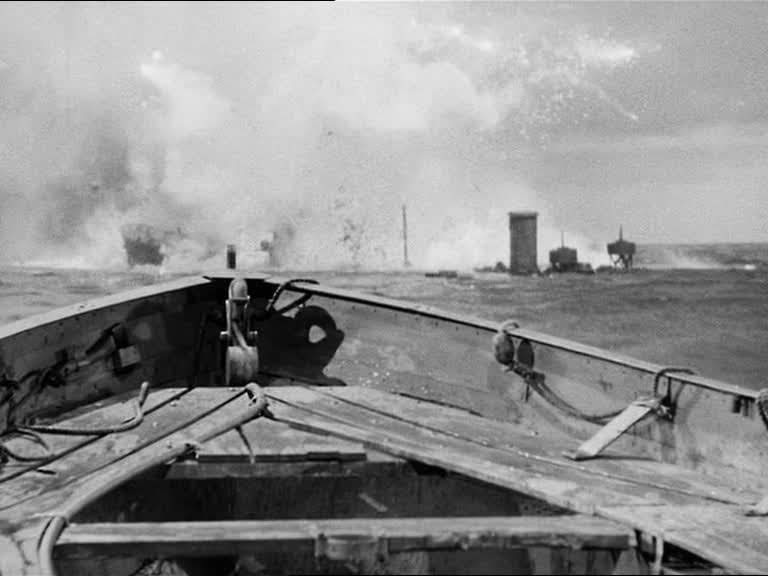 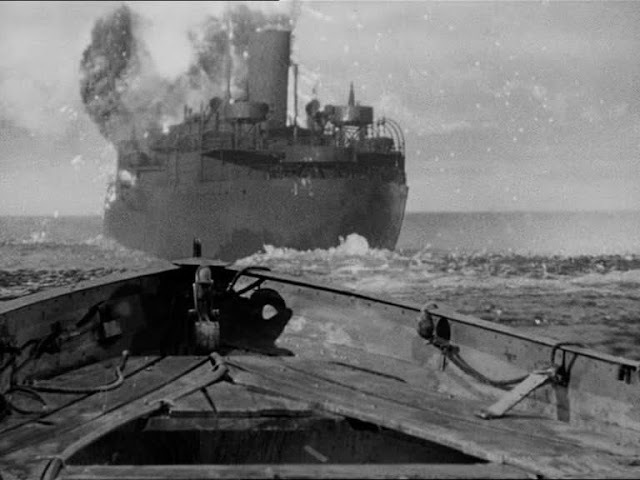 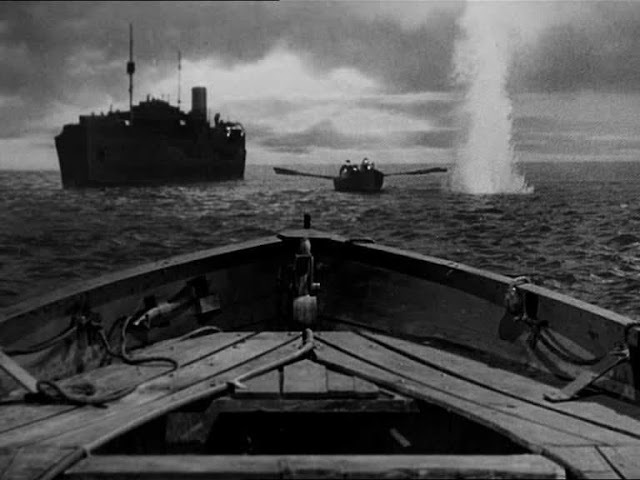 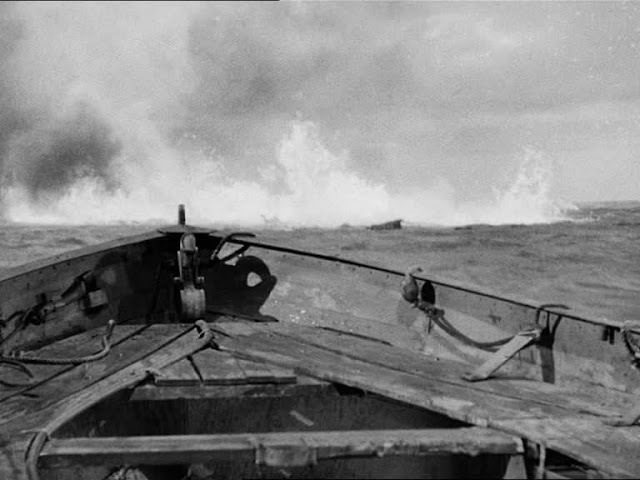 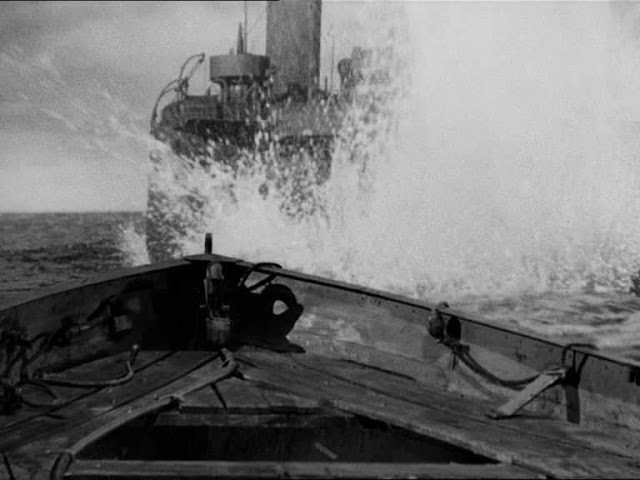 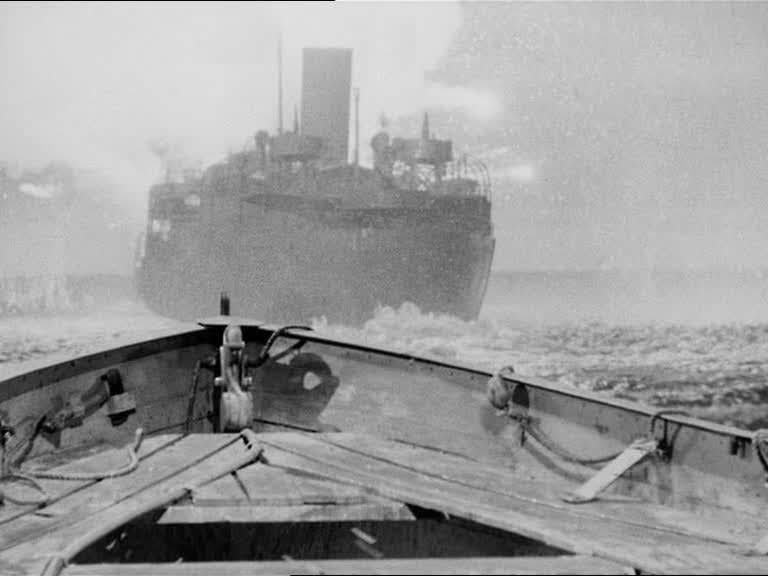 A German supply vessel is blown up and sinks with very effective pyrotechnics and some effective split screen composites of foreground lifeboat, midground live action row boat and background miniature.